The Well Water formula is a simple one really: drink Well and help the world change for the better. Well Water is an original and 100% Dutch water brand and stands for attention for man and the environment. 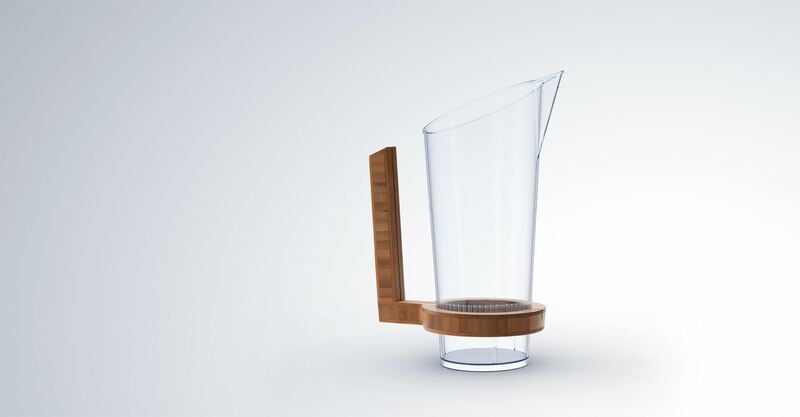 The Well Jug was designed, developed and delivered by CQand it comes with a removable handle. The jug itself is made of compostable PLA, a 100% natural material made of corn. The handle is made of solid bamboo, the fastest growing grass in the world. Naturally green The Well Jug is a Dutch Design in all respects. It is uncomplicated, innovative and aesthetic with a unique touch. The design is ultralight and requires minimal transport and storage space. The Well Jug is safe, easy and stackable.